Fresh new vintage coming to the store! 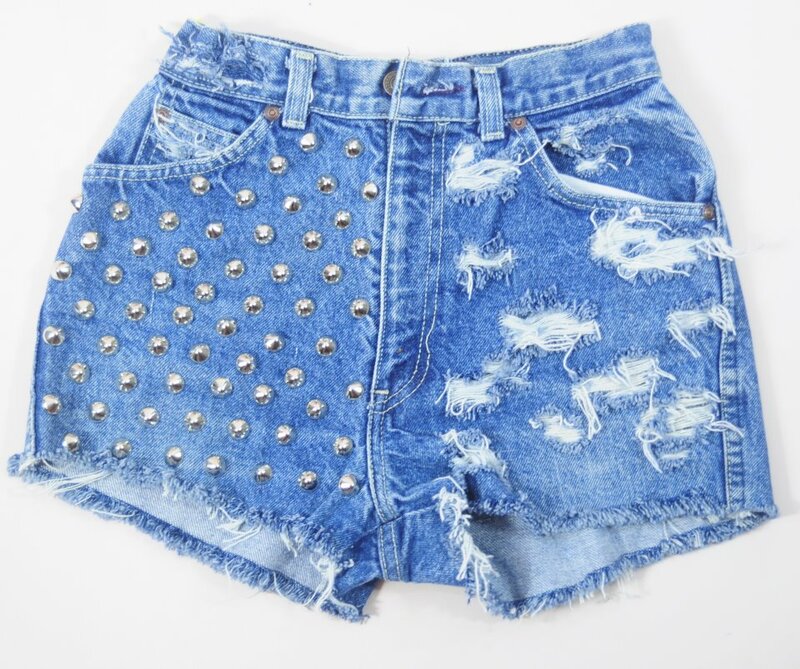 We are making stacks of more dyed + studded shorts, and bringing in more top-shelf runway inspired items! shredded denim anyone? these diy high rise vintage shorts are CUSTOM MADE just for you and your booty from the store. check out model frida gustavsson in her diy vintage denim shorts! you can get them too, shredded or cut however you want. perfect for the beach or just to go out on the town!